Kaiser is a dominant California landmark in the health insurance and health care market. We expect this trend to continue if not accelerate into open enrollment. Let's look at the plans, rates, and enrollment for Covered Ca Kaiser going forward. First, it's very important to understand why you would get Kaiser through Covered Ca. You can get substantial help in paying your monthly premium when correctly enrolled through Covered Ca. "correctly" is the key word there. Many people we come across try to self-enroll online not realizing that one wrong answer can cause them to lose their tax credit. Worse, yet a different wrong answer will give them more tax credit than they are eligible for. They will have to pay this back at tax time. Get some assistance just to walk through your income estimate, household, and healthcare needs. As Certified Covered Ca agents and licensed Kaiser agents, our services are free to you. Call 800-320-6269 and we can quickly get the most tax credit available. 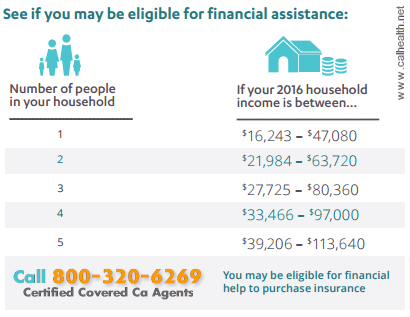 If your income estimate is between the ranges below, call us right away! It could mean $1000's of dollars in free tax credits each year. Income. We need your best estimate for 2016 income. This is really where people get confused. It's confusing! We wrote an entire article on the income piece but it's generally best to discuss it over the phone or by email. 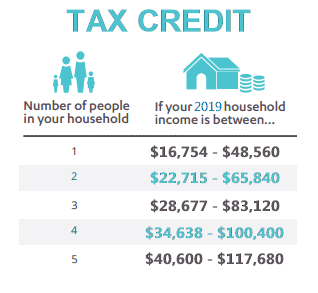 Since the tax credit is for 2016, we want the income estimate to match the same time period. This can be hard...especially for self-employed people. This can also be tricky. We want the total number of people that file together on one 1040 tax form...regardless of whether they are enrolling. There are a few other considerations but these are the big ones. Again, if you qualify for a tax credit, Covered Ca will pay part of your premium each month towards your Kaiser plan. We're not talking about small amounts either. There's another benefit to getting your Kaiser plan through Covered Ca. This is almost as good as the tax credit (but free money's hard to beat). As our income estimate goes down, we start to hit certain riggers that give us richer benefits. For the same price as the normal Silver plans! There is a Kaiser Silver 73, Kaiser Silver 87, and Kaiser Silver 94. The benefits go up in with each step. If we find out your offered the Silver 87 or 94, those are hard to turn down. The Silver 87 is richer in many ways than the Gold plan. The Silver 94 Kaiser plan is the richest plan on the market! We haven't had benefits like this for 15 years in California. In addition to the Kaiser Enhanced Silver plans, we also get the tax credit. So those are the benefits of getting a Kaiser plan through Covered Ca. Here's the good news...we can get the exact same benefits and rates for Kaiser through Covered Ca. Many of the other carriers have narrow networks for new ACA plans (any plan since Jan 2014). The other carrier networks can be 2/3rds the size of the full network. That's not the case with Kaiser. There is only one Kaiser network. Whether it's through an employer plan, pre-ACA, or the new ACA (includes Covered Ca) plans. They all have one Kaiser network. That's a huge deal now as our #1 complaint has to deal with doctors not participating in the new plans. Another key point is this...the benefits are same whether on or off the exchange. The rates are also the same. This is very important and the ACA law mandated it. If you're eligible for a tax credit based on income, you MUST get coverage through Covered Ca. Off exchange plans will not be eligible for the tax credit. If there's even a chance that you might qualify, that only leaves one place to enroll. 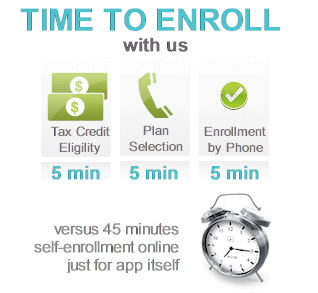 We can help you enroll over the phone in 5 minutes at 800-320-6269. 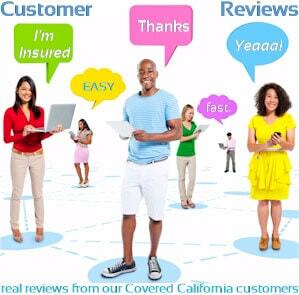 There's no cost for our service as Certified Covered California agents. So let's look at the core Kaiser plan benefits. Kaiser has a wide range of plans available in their supported areas at each level. Kaiser will also offer the Enhanced Silver plans based on income. These are much richer plans for the same price as the normal Silver plan if you're income is in the right range. 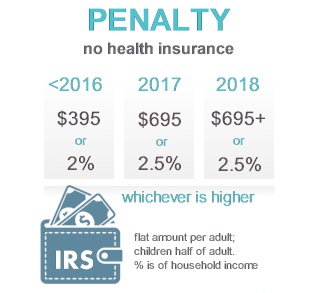 We can help you see if you qualify for one of these Enhanced plans and also compare the options available at 800-320-6269. Kaiser Enrollment literally takes 5 minutes over the phone at 800-320-6269. Saving time is not the only benefit. You'll make sure to get the full tax credit you're available to and understand the plan choices much better. About 50% of the people we assist who self-enroll online had WRONG information. It's very confusing...similar to a tax form now. If one question is answered wrong, the system may show no tax credit. It makes no sense to self-enroll when our services are free to you. Completely free to you as Certified Covered Ca and licensed Kaiser agents. You do not need tax forms to enroll and payment is not required up front through Covered Ca. Give us a call at 800-320-6269 and we'll see if we can get you a tax credit to significantly reduce the cost.